I found this shirt on this site and thought “I have to have that shirt! Its cute and it compares me to Vouge. Hell yeah!” Lol! 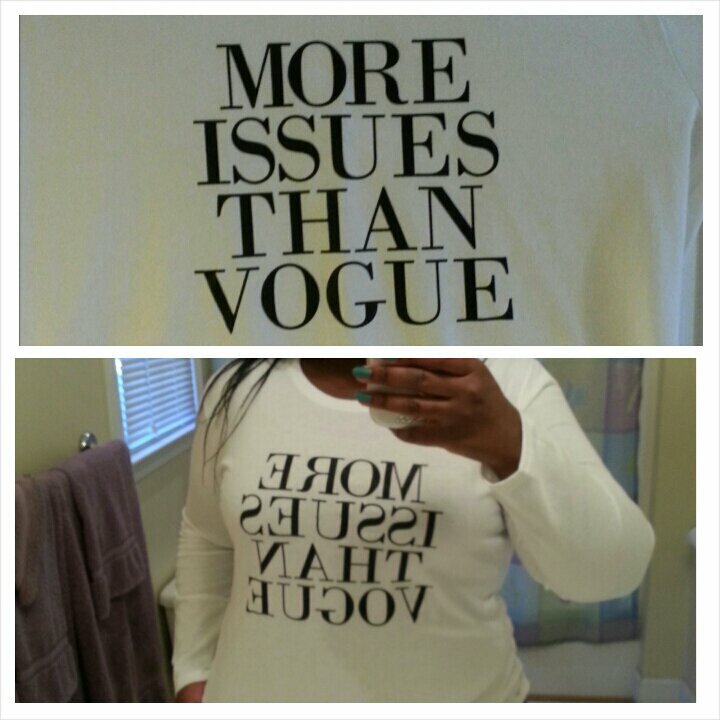 I don’t think Vouge can compare to my daily issues though :-). Anyway, my issues are better (at least that’s what I want to think). It tells you how it is in one sentence and on a shirt at that. Get to know my fun side through my fashion. I’ll rock it to the fullest!